The popular term paper tiger, indicating something that initially seems threatening but is in reality harmless, does not seem fitting for the trombone in general. If anything, the trombone is musically quite the reverse! 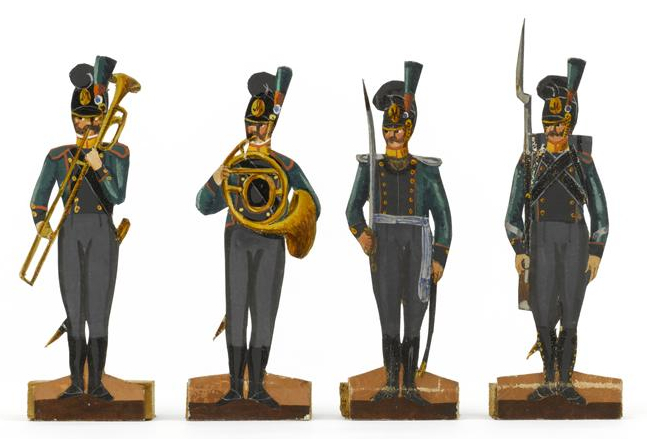 There is, however, an interesting collection of trombone history images, originating from sets of 19th-century military figurines, that depicts trombones as paper figurines. 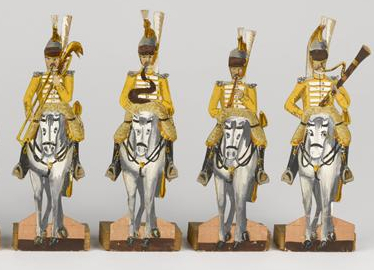 Although many such images are available, all of the examples shown below were produced by the Wurtz and Pées family in Strasbourg, France, between 1825 and 1850. 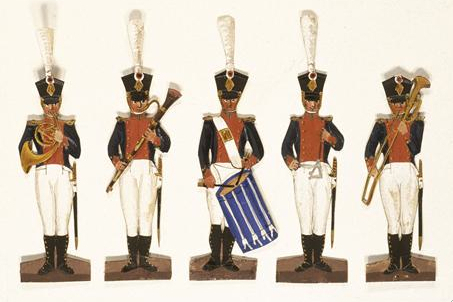 These depictions appear to be quite literal, as their creators (and collectors) were known to obsess over such minutiae as the color of buttons on a given uniform or the type of insignia on the battalion’s hat. 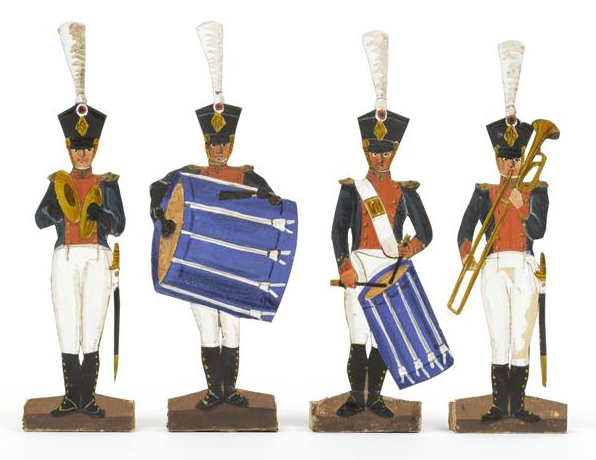 I have cropped several of the images to better show the trombonists, but each one comes from a very specific military regiment. 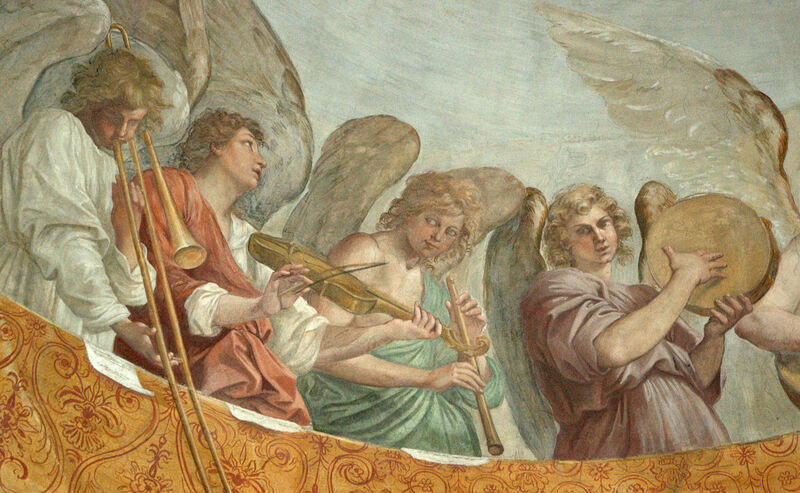 A few things are noteworthy about the pictures in the context of trombone history: 1) every one of the trombones is rear-facing (for more on this, see Backward Advances: Rear-Facing Trombones Throughout History), 2) the fifth set of pictures includes what appears to be a rear-facing buccin, or trombone with dragon bell, 3) several of the pictures also include an instrument called the serpent, a wind instrument considered a predecessor to the tuba (for more on the serpent throughout history, see Serpent & Ophicleide: History and Images), and finally, 4) several of the figurines represent mounted regiments, with trombonists in the seemingly awkward position of trying to play while riding on horseback (for more such images, see Hi Ho, Brass! 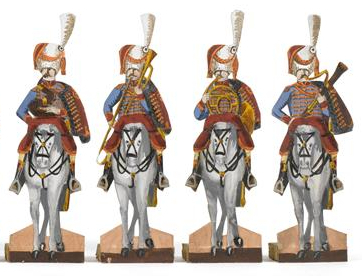 Trombones on Horseback). 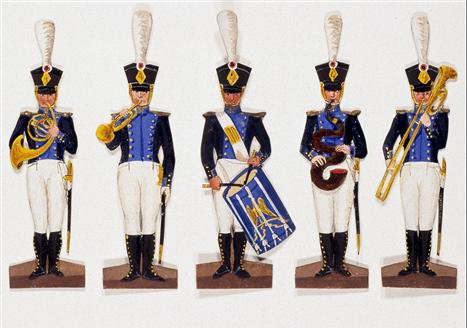 Overall, the pictures provide an interesting snapshot of the trombone in the 19th century military band (for more on the trombone in the military throughout history, see here and here). I will soon be adding several of the pictures to the 19th century timeline (first half), which should help place them in historical context. I found that the Courtios Company in Paris has made Brass instruments since 1803. My instrument has a very small bore. 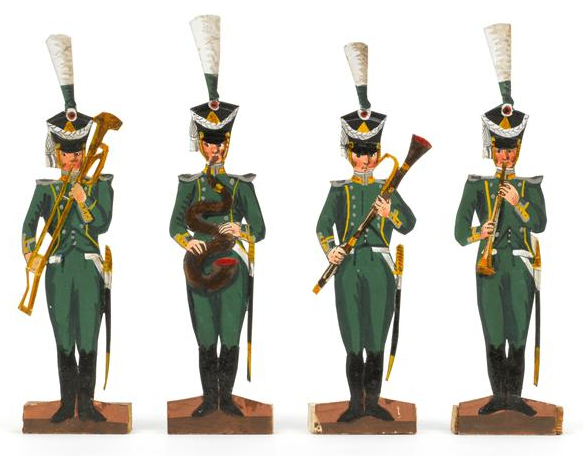 It’s mouth piece, which appears to be original to the instrument, is slightly larger that an alto horn mouth piece. It has a quite, subdued sound and it pitched in roughly B flat. I’m trying to find out more information about this instrument.